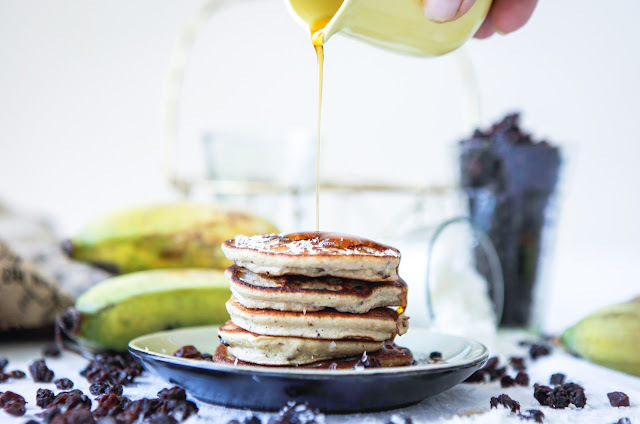 These coconut raisin pancakes are a delicious twist on the 2 ingredient sugar banana pancakes (see here). 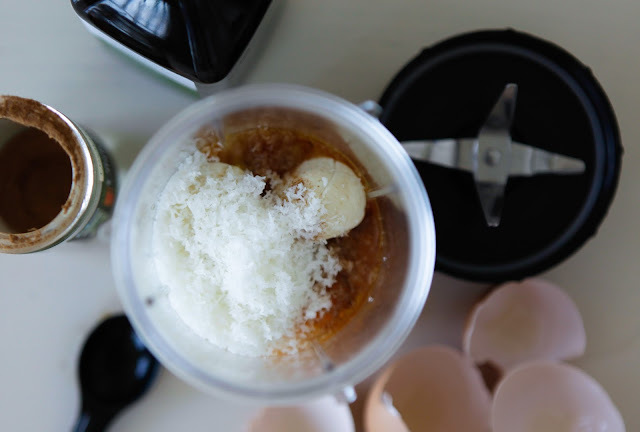 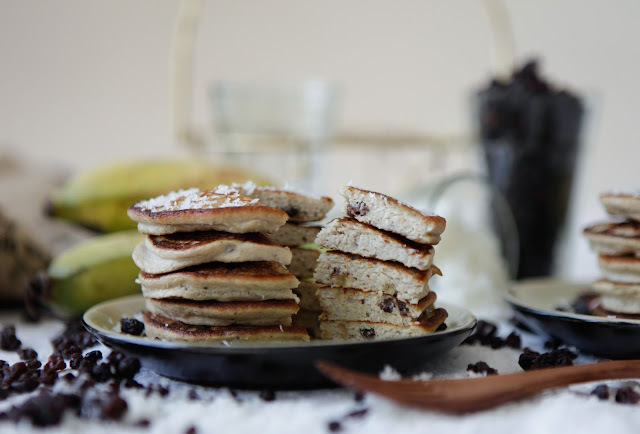 The coconut gives the pancake extra texture and flavour and the raisins give a nice burst of sweetness that my kids love. 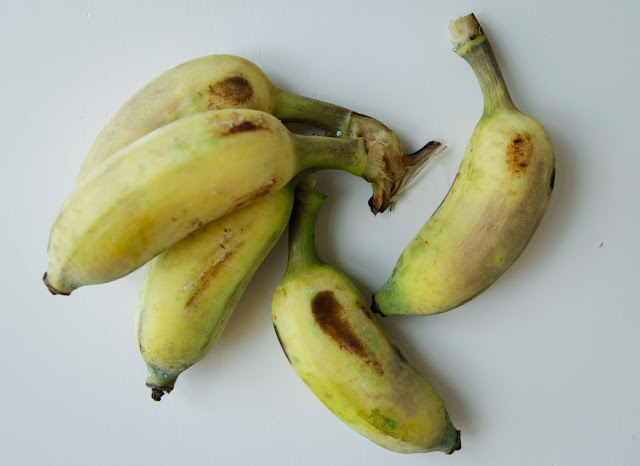 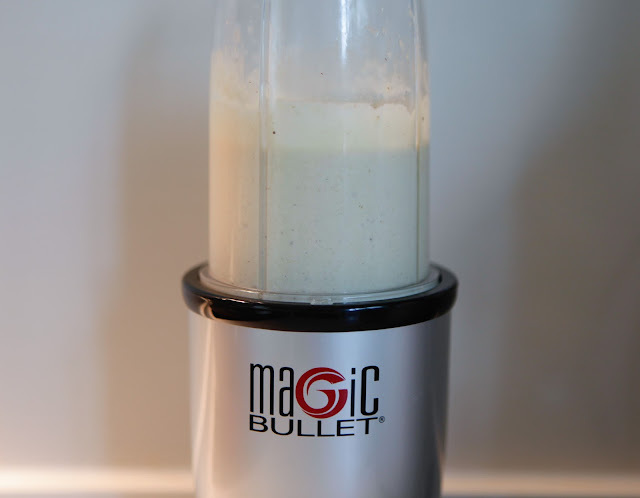 Its really important to use sugar bananas in this recipe, known as Ducasse which are short, fat with a thin skin, not the common cavendish type found in the supermarket. 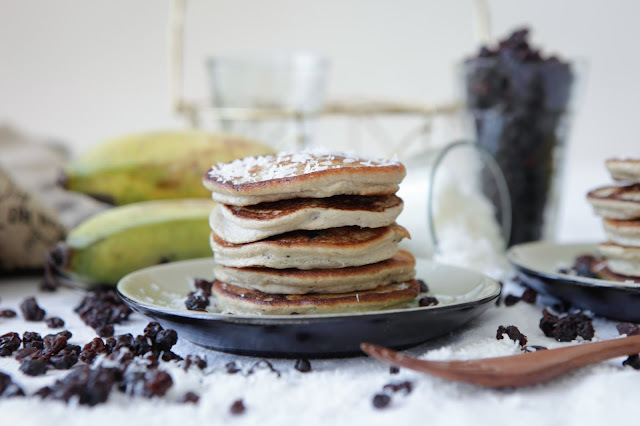 The sugar banana when just ripe, gives the batter a nice thickness very similar to a ‘normal’ pancake batter. 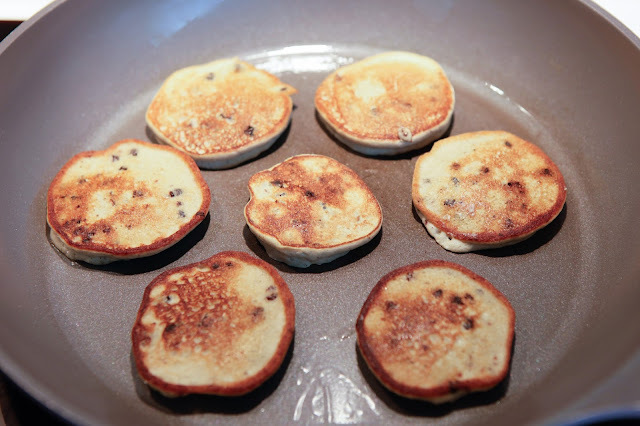 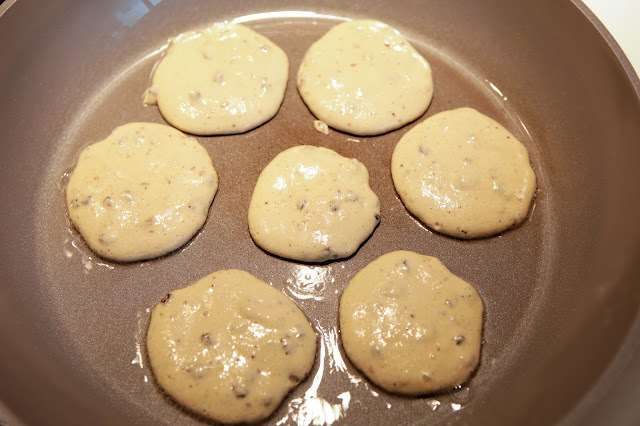 If you like this recipe, you might also like my Easter Bun Spiced Pancakes.